The Student Council is a representative structure for students, through which they can become involved aspects of the school, working in partnership with school management, staff and parents for the benefit of the school and its students. The membership of the student council shall consist of the prefect executive and two representatives elected by each year group. Members shall be a positive example in terms of respect for the school code of behaviour and leadership. The student council works with a teacher who is the link person between students and staff and management in the school. There shall be at least one member of staff in attendance at meetings. The term of the council shall be from January to December. Members may not be elected consecutively for more than two years. A staff liaison committee consisting of teachers interested in the work of the Student Council shall be represented by now more than two and no less than one teacher at each council meeting. The staff liaison committee will act as a conduit for information between the Student Council and the staff. No individual student’s dealing with teachers, disciplinary or otherwise may be discussed. Staff members may not be discussed. Discussions lead to recommendations not decisions. Proposals must be for the benefit of the school in general. At least one staff member must be present at each meeting. The process begins with the nomination procedure. Students can be nominated only on the official form and each nominee must be proposed by two students in their class/year group. A nominee cannot propose another candidate and a proposer may only propose one nominee. All nominations must be dated. In the event of two nominations having the same proposer, the earlier nomination will be allowed. The nomination forms are checked and signed by a member of staff to ensure that all nominations are valid. Once nominations are in, the list of nominees is displayed in each classroom. The election is by secret ballot using the P.R. method of voting. The votes are counted by a staff member and scrutinised by members of the prefect executive and two students who are neither proposers nor nominees. The votes are kept in case of queries. The names of the representatives elected are posted the next day. The actual number of votes for each candidate is not announced publicly. All must observe confidentiality with regard to the ballot count. The Student Council will appoint a Chairperson, Secretary, Public Relations Officer and Treasurer. Each will normally hold office for the year. The Student Council reserves the right to form subcommittees. A subcommittee will consist of at least 3 members, with at least one member from Junior Cycle (1st, 2nd & 3rd year) and one member from Senior Cycle (Transition, 5th & 6th year). The planned activities of a subcommittee must be submitted to the council for approval. Subcommittees must report regularly to the council on their progress. 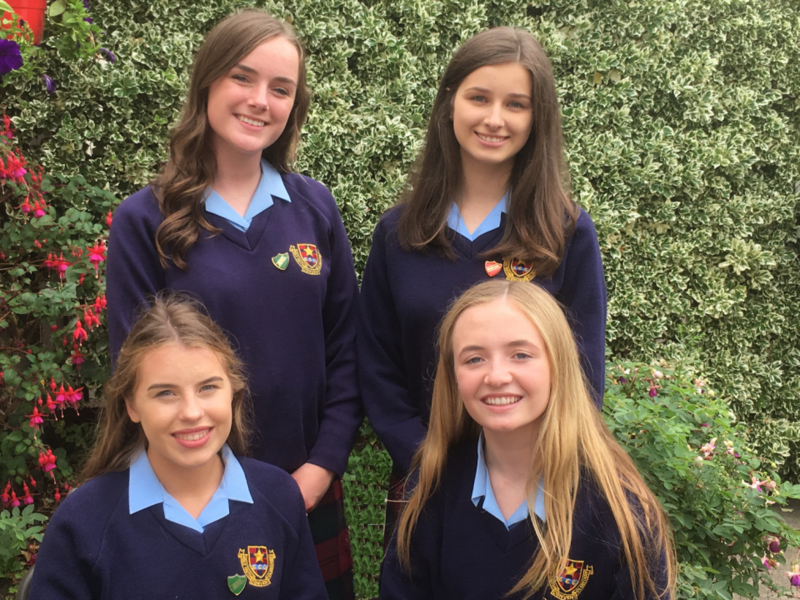 The Student Council Treasurer will keep an up to date and accurate account of all money raised by the council, and will provide a report to the council at the last council meeting of the year. The Student Council will consult and co-operate with the management, staff and parents when planning fund raising activities. There will be regular financial reports to the Board of Management and accounts presented annually. The Student Council will meet at least 5 times per year. Meetings can be called by the Chairperson, or by 3 or more members of the council. All council members must be given at least 1 week’s notice of a meeting. At least one third of council members have to attend for a decision to be taken. When making a decision any member of the council may call for a vote to be held, and where the votes are divided evenly the Chairperson will have the casting vote. Minutes will be maintained and a statement provided to principal, staff and students. The Student Council has the right to remove a member, if that member fails to attend meetings or is not committed to the work or aims of the council. The member must be given at least 1 weeks notice of the proposal and must be allowed to address the council in their defence. Where a member is to be removed, a vote must be held and at least two thirds of the council must be present. In cases of serious misconduct, removal from the council is at the discretion of the principal. A vote must be held regarding any changes to this constitution. Proposed changes must be circulated to all members of the council at least 1 week in advance of the vote. At least two thirds of the council must be present for the vote. Any proposed changes to the constitution must be discussed in advance with the Board of Management.